Informational articles concerning a range of topics in policy, government, politics, political science, social issues and international affairs. If you like this blog, this or any other article, please don't hesitate to subscribe with your email to receive notices of future articles and to share it with others via email, Facebook or other social media outlets! The reason for the discontent between the White House and Prime Minister Netanyahu of Israel is not related to personality or any competition for power and influence. The contention has to do with the Palestinian-Israeli conflict and much of it is a result of the continuation of Israeli settlements in the West Bank, which remains occupied by Israel since the 1967 June War. For decades the U.S. has played a vital role in attempts to broker peace between Israel and the Palestinians. Every attempt at brokering peace has been followed by Israeli actions that undercut any efforts at peace in the long term. This article is not about the mistakes of Palestinian leadership or the efforts of some Palestinian groups to undercut the peace process that would entail the acknowledgement of a permanent Israeli state. Neither is this article an effort to criticize justifiable Israeli reactions to attacks of terror on its people, or to criticize measures taken by the Israeli government to prevent or deter such attacks. The discussion of settlements has very little, and perhaps nothing to do with the vital security needs of Israel. In the context of peace negotiations, the settlements are a separate issue from the security argument, although the Israeli settlements themselves have indeed contributed to the need for greater security. The settlements in the West Bank must be defended which increases Israeli security demands, a need created by Israelis, and at the same time foster greater anger on the part of Palestinians towards Israel. 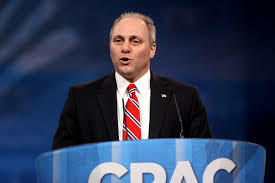 I say that the settlements are not part of the security argument in the context of peace negotiations because Israel's security should be about securing Israel's borders and not settlements that were unnecessarily erected outside of Israel's borders, and which, instead of contributing to Israel's security, detract from it. In June of 1967, after only six days of fighting, Israel emerged victorious from a war with its neighboring Arab countries who were resentful of Israel's creation in 1949. The spoils of war gained by Israel were territories formally in the borders of those Arab states. 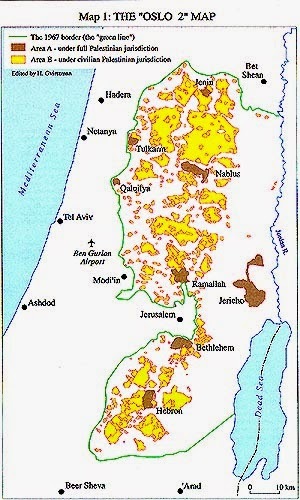 These territories included the West Bank, gained from Jordan; the Gaza Strip and the Sinai Peninsula, gained from Egypt; and the Golan Heights, gained from Syria. Today, Israel still occupies the West Bank, a territory which is the home of a substantial number of Palestinians, many of which live in refugee camps erected to house those that fled the 1949 Israeli Independence War. Shortly after the war, the Israeli government began a policy of encouraging Israelis and Jews emigrating to the area to settle in the West Bank and the Gaza Strip. The Gaza Strip settlements, which were fewer in number, have since been dismantled and the territory handed over to the Palestinians. The occupation and settling of Israelis in the West Bank has continued to this day and with the financial encouragement of the Israeli government through subsidies. The reasons the Israeli settlements are a barrier to peace are multiple. First, the settlements are a de facto method of expanding Israel's borders into Palestinian land. While Israel has not formally annexed the West Bank, as it did East Jerusalem, Israel has allowed and encouraged the settlement of its own people outside its official borders and into a land that Israel occupies. This is in violation of international norms and international law that says a country must not attempt to transplant its own native population into a country or territory in which it is occupying as a result of war. The settlement activity of the Israelis has deeply angered Palestinians who believe even more of their land is being taken by Israel and left them feeling hopeless in their dreams of statehood. Second, a "two-state solution" has been essential to ending the Palestinian-Israeli conflict, or at least that has been the goal of peace brokers for the past several decades. The "two-state solution" would mean the continuation of the state of Israel, but also the creation of a new Palestinian state, most likely out of the occupied territories of the West Bank and the Gaza Strip. The settlements that have only grown since 1967 are increasingly making a Palestinian state impossible. As can be seen in the map, the settlements, many of which resemble small cities with permanent structures, vary in size and are spread out across the West Bank. The largest of course, the settlement blocks, are closer to the Western side, near and stemming out from the border between Israel and the West Bank. Neither the Israeli government or the Israelis and Jews living in the settlements are willing to dismantle them. For the most part, recent peace negotiations have kept the Israeli settlements intact. If they are to stay intact and under Israeli control, the supposed Palestinian state that would be the end result of a peace agreement would be a nonviable state, with non-contiguous borders in some areas, that resembles more a slice of Swiss cheese than an actual country. This can be seen in the graphic to the left which was a map created during the Oslo peace negotiations. Rather than freezing settlement building, which only serves to increase Palestinian and Arab anger , as well as increase the difficulty of offering Palestinians a viable state, Israel has continued to expand the settlements in the West Bank. This has angered the international community, but especially the U.S. which has invested quite a bit of credibility, effort, money, time, and political capital into bringing peace to the region. Also, recall that a great deal of Islamic terrorism perpetrated against the U.S. is a result of anger at the U.S. for supporting, or at least not stopping, Israeli actions deemed as harmful to Palestinians. Therefore, the U.S. has a significant amount of "skin in the game". Despite immense U.S. efforts to help the Israelis and Palestinians to end the fighting and the enormous aid given to Israel, the settlements have continued, as has the support of the Israeli government, both in rhetoric and in financial subsidy. This has been quite a slap in the face of the U.S. Recall that there have been several attempts to bring both sides to the table. The only two attempts that had promise of producing a tangible result were the peace negotiations in Oslo, Norway in 1993, and the efforts of President Bill Clinton in 2000, known as "Camp David II". The previous Camp David peace effort under President Jimmy Carter, did not deal with the Palestinian issue, but did resolve the conflict between Israel and Egypt. Since Camp David II, both Presidents George W. Bush (remember the "Road Map to Peace") and Barack Obama have sought to kick start negotiations, but to no avail. The sides to the conflict seem to be too far apart, partly due to the settlements. 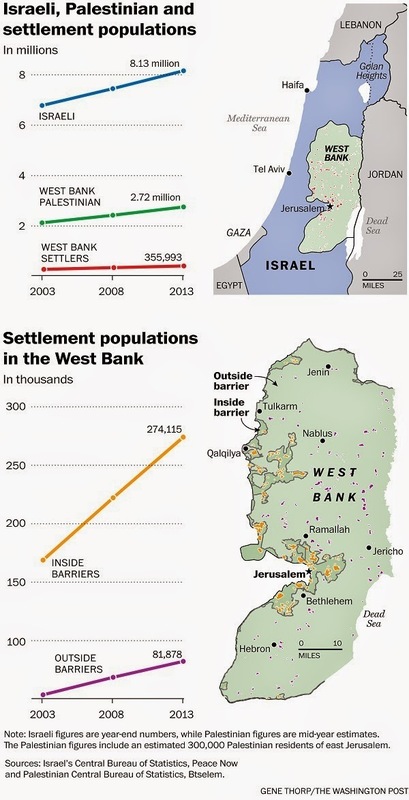 Also, as can be seen in the graphic, the settlements have only expanded, and in so doing have significantly decreased any possibility of peace and a Palestinian State, the main component of the "Two-State Solution". Every year the settlements become even more permanent fixtures of Israeli dominance in the West Bank. The goal of the U.S. to bring peace in the region is an important one considering the enormous suffering of Jews historically, the suffering currently endured by both Israelis and Palestinians, the long friendship between Israel and the U.S., and the immense anger in the Arab world towards Israel and towards the U.S. as the main supporter of Israel. Therefore, it comes as no shock to long time observers and students of this conflict that the frustration of U.S. administrations has built up and is no longer contained behind the scenes. To ignore the role of Israel and only chastise Palestinians is a disservice to both Israelis and Palestinians, especially the thousands that have died and will continue to die in the absence of peace. If you like this blog, this or any other article, please don't hesitate to subscribe and to share it with others via email, Facebook or other social media outlets! Israelis need to get rid of their foreign military bases. They break the international law stating countries can’t ship in their citizens to reside in the country they had because of a war. Although the United States is trying to help Israel and Palestine achieve peace in the Middle East, Israel’s actions are part of the problem and they do not seem willing to reform. Unfortunately, another Palestinian state cannot be created at this time, which is the most obvious, but unfeasible, solution. Israel has insulted the United States by thwarting our diplomatic efforts. Because the Arab world hates Israel, US affiliation is not beneficial to these countries. The US needs countries in the Middle East to be, if not allies, at least not enemies. Israeli and Palestinian people are dying, and major peace-keeping reform is necessary for stubborn Israel. Before reading this article, I had no idea why there was tension between the United States and the Israeli government. Like the article stated, I just thought it could have been because of competition for power. It seems that is always the case between many countries. To find out that this discontent is because Israel is being greedy with its settlements seems kind of silly. Even though Israel owns the West Bank, they should stop pushing out the Palestinians. The two should be able to live in peace with each other. They both know the struggle that it took to become free. The Palestinians want statehood just like the Israelis did. The fact that the two groups cannot agree on living peacefully next to each other is baffling. Like the article states, it is in violation of international norms and international law that says a country must not attempt to transplant its own native population into a country or territory in which it is occupying as a result of war. Just because country owns a piece of land, does not mean that they can push out the residing people and implant their own. I believe that the best solution for this problem is the two-state solution. If both of the groups get their own land, then the conflict is settled. There should be no other fights over who is invading whose land. The United States should stop the settlements into the West Bank before it gets uncontrollable and the Palestinians can no longer have their own state. I am not sure what the right way is to go about doing this, since both of the sides cannot even come together to negotiate. It seems that the United States does not really have a choice other than to intervene military wise. The topic of Israel fighting for land has and will be an issue. After reading this article, it gives more insight to what exactly is happening in the Middle East and where the settlements are taking place. According to Biblical borders, Israel’s land was much larger than what they occupy now. This is why I believe they are making so many settlements and refusing to accept the “two-state solution”. Even though Israeli actions may in violation of international norms and law, Israel knows they have to gain their land back so they will do anything they have to to fight back. I understand that it is upsetting to the U.S. because of all the help we have given the Israelites and now they are violating law. In technical terms one would hope that Israel would conform and accept the “two-state solution” for the sake of the anger of the Palestinians. In a perfect world, this would settle the argument and both people would be happy. However, I believe that even if the “two-state solution” was used, the Israelites would be just as mad as and even angrier than the Palestinians are now. I think there will be no solution that will satisfy both sides, and no matter what solution is used, Israel will still fight to gain their land back. While reading this article, I gravitated more to the Palestinians anger towards the Israelis for the simple fact that Israel is trying to make West Bank more of an Israeli nation. I understand that Israel has control over West Bank, but they should encourage the independence of the Palestinians. This would potentially control the tension between these two groups. It’s a shame that the Palestinians have to live in refugee camps while Jews and Israelis receive subsidies from the government to move to West Bank. Although Israel has violated the international law saying that s a country must not attempt to transplant its own native population into a country or territory in which it is occupying as a result of war, they haven’t really received any consequences for disobeying the law. I find it pretty interesting that other countries won’t get involved in these affairs until they find something beneficial in it. Although the U.S. is doing their best to bring peace towards that region, it really won’t take affect unless these two groups are ready to settle their dispute. The “two state solution” does seem essential to ending the conflict but won’t occur because Israel is too stubborn to give up their territory. It seems that the U.S. is frustrated with Israel mostly because they are is in support of Israel, and when Israel refuses to make peace it looks bad on the U.S. I believe the last strategy that the U.S. will resort to is military intervention. I say this as a last resort because the U.S. needs allies in the Middle East and this could potentially ruin their relationship with Israel completely. I agree with the approach to this blog that settlement expansions and security are two different arguments. Before attending the research symposium, I had very little background knowledge to the Palestinian-Israeli conflict. Ever since, the topic has caught my attention and continues to dishearten me as I see no improvement in peace or in negotiation. It is difficult to consider what USA and other countries have invested into the area hoping to bring peace yet continuous Israeli settlements destroy any attempts at such. The "two state solution" seems like an ideal resolution if both Palestinians and Israelis would remain in their borders and leave each other to peace. Because history speaks for itself, the more the Israelis settle over their borders, the more anger Palestinians and Arabs have. However, US action in the area seems a little pointless as clearly the area will continue to suffer from the tensions between Palestinians and Israelis. I relate to frustrations against Israelis as peace does not even seem like a possibility if they continue such actions. The Israeli-Palestine conflict has gone on for a long time and neither side have done a decent job at taking action to settle the conflict. Neither sides are innocent in the conflict and I understand why the U.S. is frustrated. As I learn more and more about the topic, my opinion of the Israeli government has gone more negative. This conflict seems to have no solution without the Israeli sucking in its pride and start to negotiate fairly with Palestine, along with correcting some of their wrong doings. In order for the countries that support Israel to continue supporting them, they need to make some effort in reaching a negotiation. Israel needs to be happy with the territories they have and start working on their country's economy and getting on the Palestine's good side. Creating the two-state solution could be used to find a home for the Palestine's who were kicked out at the beginning of Israel's creation. This would be righting a wrong, a possible solution to down sizing the poverty rate, lowering terrorism, and making the Palestinians content. For the two-state solution to work, though, the territory needs to look less like Swiss cheese and more like two separate states. I like the way how this article sheds some light on both sides of the argument and explain some ambiguity of the issue. As it is often looked that Palestine or militant groups in Palestine are the only factors for the distress in the region. This article shows the other side of the coin, that is, there is no effort from Israel about creating the peace in the region, on the other hand by subsidizing and allowing the expansion and settlements in the occupied territories of the West bank and Gaza strip, Israel is not only destroying the peace in the region but is also in violation of international laws. By doing so, Israel is also neglecting all the support/effort from international communities and organizations, specifically all the time, effort and money invested by U.S.A. The cause of Israeli conflict began when the country was constructed in 1949 taking land from the Arab nations surrounding the land today. The United States became involved with Israel as the super power of the globe and the leader in the United Nations. The world wants peace in the Middle East which means the US is putting time and money into the effort as well as preemptive protection from possible attacks on the United States and as an act of diplomacy. As a result, United States leaders come to the Middle East to deal with the conflict by brokering peace agreements. The United States wants the world to be the land of the free and being a supporter of Israel, our country wants to help it be free from terror. The frustration that Israeli forces want more land while Palestine wants all the land back causes friction in the Middle East. The need to just become two states is the only civil option. Honestly, I feel that this is an extremely sticky situation. I’m torn with my feelings about U.S. support for Israel. On one hand, I’m wondering why our involvement is necessary or smart in protecting the well being of our country. We are investing our “credibility, effort, money, time, and political capital” to help with peace. In doing this, we are not only experiencing terrorism toward our country, but Israel is taking no measure to end the fighting or compromise. Israel’s settlements have only expanded, and in so doing, have significantly decreased any possibility of peace and a Palestinian state. (Robinson) They are basically disregarding our efforts to help by continuing to do what they want and add coals to the fire. This only angers me as an American and sends me into a “protect our own” mentality. What does our country benefit from this? Friendship from a weak country? And this is where I am torn because on the other hand we have had this longtime friendship and it would be extremely unwise to burn bridges with any countries. We are very admirable for helping a country that has experienced “enormous suffering” currently and historically. We as a superpower have the responsibility to aid other countries, especially those we call friends, when they are in need, and even more so in order to achieve peace in the world. I remember the very first time my attention was drawn to the ever-waging war between Palestine and Israel. It was over five years ago, I saw an urgent news update about peace activists that had been gunned down by Israeli soldiers when trying to deliver aid (food, water, bandages) to the people in the Gaza strip. Like most Americans, I had absolutely no idea what the fighting was about or the history between the two countries. The story was a flash in the pan, and it didn’t seem to get much more attention in the news, but it had intrigued my interests and I began to research the history of their fighting and the reasons behind the vengeance they have for each other. While researching, I soon stumbled upon pictures from protests around the world, which enlightened me on how much anger exists about America’s support for Israel. But I still didn’t understand why other countries in Europe would find this so offensive. I quickly learned that the citizens in countries outside of the U.S. have vastly more unfavorable views of Israel than the citizens of the United States. In comparison, only 27 percent of people in the U.S. have a bad perception of Israel, opposed to 62 percent in Germany, 65 percent in France, and 66 percent in China. (reference: http://www.nytimes.com/2014/07/24/world/middleeast/as-much-of-the-world-frowns-on-israel-americans-hold-out-support.html?_r=0 ) What do their citizens know about Israel that would cause them to have such unfavorable views!? What I found from those days researching, were acts of genocide against the Palestinian people that were an atrocity which continue today. Palestine is asking for a state of their own, and this should be granted without question. In truth, they were the indigenous people of that country when the U.N. created Israel for the Jewish people to immigrate to after WWII, and the U.S. supported that. Now the world is in favor of the Palestinian’s being granted that same right, on land that they inhabited long before 1947. Israel has been disregarding the United States and the United Nations for quite some time now. Numerous peace talks have taken place with multiple presidents and it seems as though Israel will do what they want regardless what the rest of the world thinks. They want the west bank and they are affectively taking it. One could argue there is nothing we can do to bring peace and to stay out of it, but that would most certainly mean the end of Palestine and probably result in a 7 days war part 2. The only real solution is to impose sanctions on Israel until they stop their annexation of Palestine. The conflict between the White house and Israeli government overlaps the issues between Palestinian and Israel over the West Bank land. This land is owned by Israel, and for years America has tried to make peace between the two countries over this land. Palestinians believe their land is being inhabited by Israelis, and citizens of Israel are encouraged to live in settlements outside of official borders. In addition, a two state solution is an idea that is considered essential to ending this conflict. If this happens, the new Palestinian state would split up and be made difficult to expand. This is a very important topic because of the frustration built up against Israel because of their undermining of attempts for peace. Israel has continued expansion into the West Bank and the USA has a lot invested in this battle for peace. For not stopping the Israeli actions, Islamic terrorism is active against America thus further deepening our involvement in the peace struggle. I can see from reading this article that peach between the White house and Israel's prime minister will never exist-- it seems a bit childish that the two countries cannot "settle their differences" and be at peace. But that is probably the case with most rival countries. It is evident that Israel will stop at absolutely nothing to claim their land. Solution? Israel should accept the "two state solution" and let it be. Since owning West Bank, Israel has been attempting to make it theirs- turning it into something else. They have even violated the international law and nothing has been done- no punishment. I don't feel like there is enough control here. The US cannot force these two countries to settle and move on without some initiative themselves. If the United States were to stay out of this conflict, another war could possibly arise. What could be taken from this situation is that the United States can only do so much; they are kind of in a mess of an issue and they have little control over it in reality. This article poses an interesting view on the situation. Perspectives and intentions of both sides are discussed, keeping any opinions pretty neutral. I would have to agree with a few of the above comments in saying that the United States has been experiencing difficulties with Israel as well as has been trying to solve them for many years. None of their attempts at peace have worked before, so I do not really forsee any future attempts working either. However at the same time the United States has been so invested in declaring peace with Israel for so long that it is arguable whether or not it would be efficient to discontinue their efforts. Then again, the safety of our country is essentially at stake, and it should be necessary to keep trying for peace for that sole reason. The Upshot by NYTimes: Policy, Politics, Economy...info graphics and more!